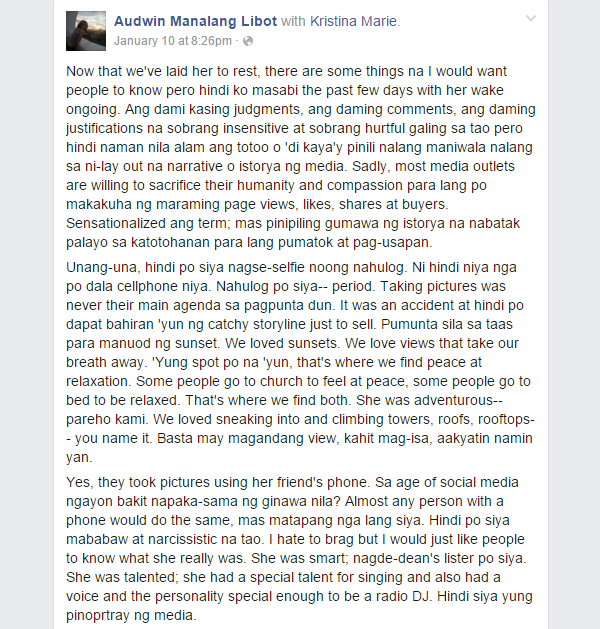 Audwin Manalang Libot, boyfriend of the student who fell off the rooftop of a 20-storey condominium, has revealed the truth behind her death. 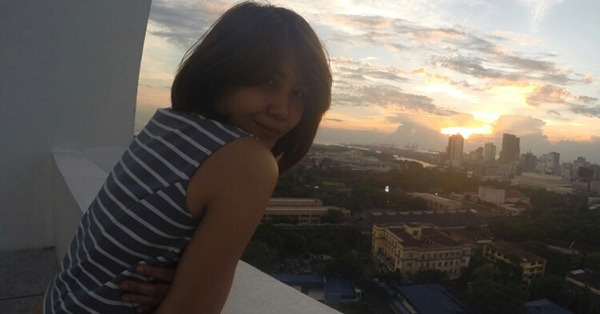 According to reports, 19-year-old Kristina Marie Pagalilauan, a third-year AB Communication student of Adamson University, died after accidentally falling off the roof deck of Suntrust Parkview Dahlia Tower 3 Condominium in Ermita last Tuesday, January 5. In an interview, Manila Police District homicide division chief, P/Supt. Romel Anicete, reportedly said Pagalilauan and her classmate and friend, Jonea Mildred Ani, were taking selfie photos when the victim leaned her back on the uneven parapet wall. Ani was reviewing the pictures on her smartphone when Pagalilauan lost her footing and fell. The victim was still able to hold on to a window pavement before completely falling to the ground. She died of multiple fractures and bruises. Libot, who lives on the fourth floor of the condominium and a 4th year AB Communication student of AdU, was vacationing in Cagayan de Oro City with relatives when the accident happened. The couple was supposed to celebrate their 11th monthsary last Thursday, January 7. They have been talking about getting married soon. The guy said they loved watching the sunset from the roof deck. 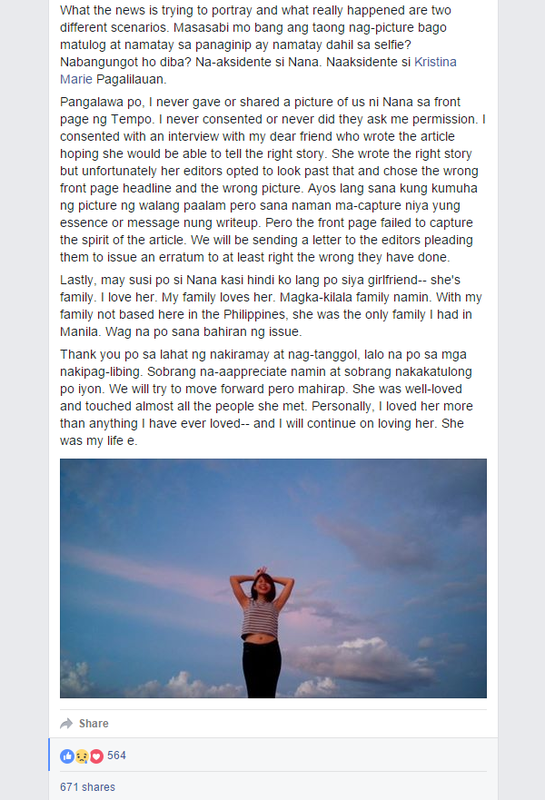 Five days after her death, Libot aired his sentiments against newspaper tabloid Tempo and netizens who made insensitive judgments, comments, and justifications about his girlfriend. As a tribute, the couple's friends posted a music video featuring Pagalilauan performing a song titled "Pait."